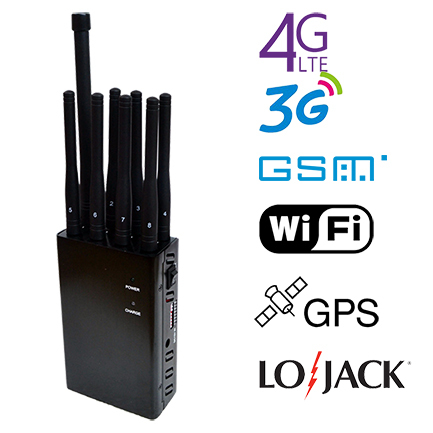 As for portable devices become more and more people rely on, desktop jammer is no longer the only option for people. 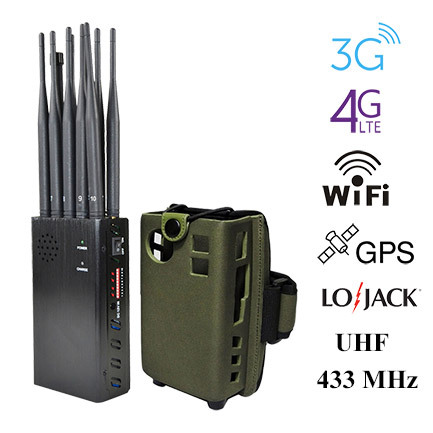 The concept of outdoor jammer is convenient and portable. 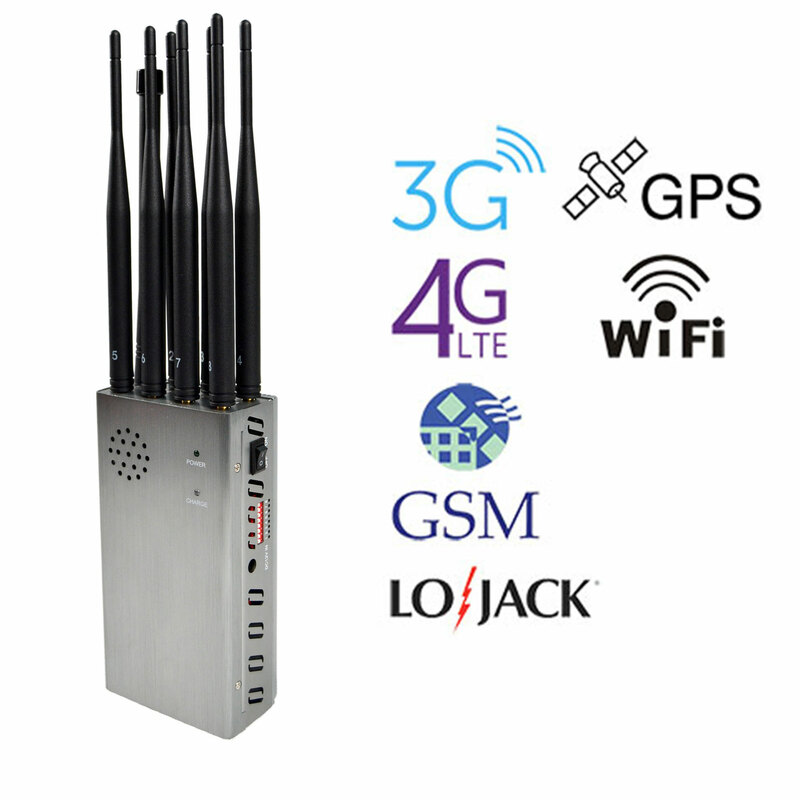 Therefore, this kind of portable jammer are popular with the customers whenever available. In case of need to outdoor use, this kind of equipment is your best choice. Has been more and more demand for outdoor use a customer to buy this commodity. At present, in North America, many users like to buy a used when such equipment is used for travel. The most commonly used is used in the process of driving. As a result, many families in North America buy such devices for their children. 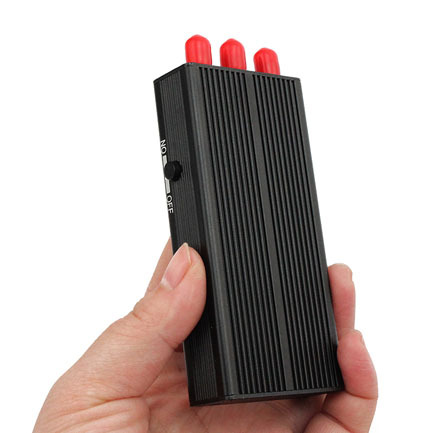 As the most popular handheld jammer, this product has a small size, easy to carry. Can block 8 bands frequencies, and have a very large jammer range. Has separate frequency control switch, you can turn on or off the frequencies you want to jamming as needed. With car charger, it can be used while driving. This product has the perfect heat dissipation system, it can run continuously for a long time. The shell is made of heat-conducting metal with good heat dissipation. 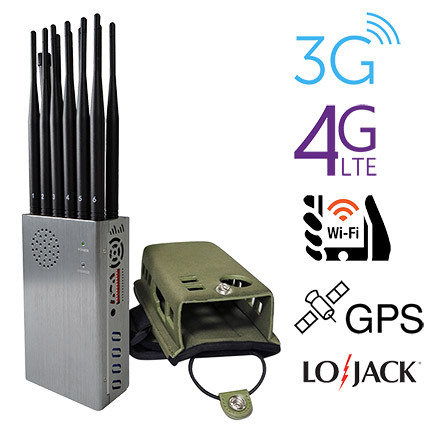 This is a new 8-band portable military jammer. It has a very large jamming range. It can be hung from the arm and is very portable. With a separate control button, you can choose the frequency band you want to jam. Easy to carry, Pocket-size, Hang or wear on the arm or belt. 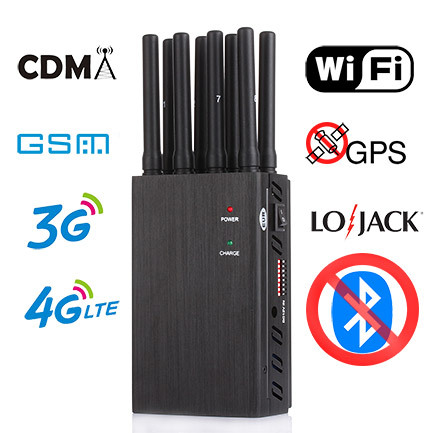 High output power, Can shield all common phone signal around radius 5-40m. Each band can work separately or simultaneously with switch to turn ON/OFF. 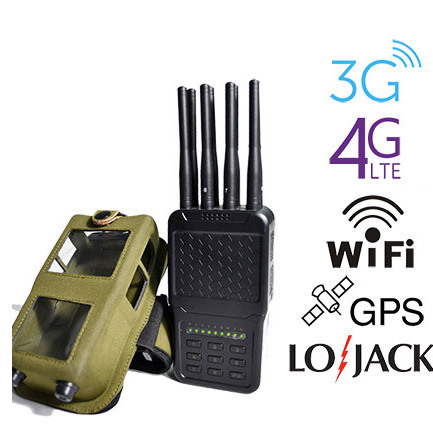 This is a jammer that can be used outdoors for a long time. It has a large capacity battery of 8000 mah. 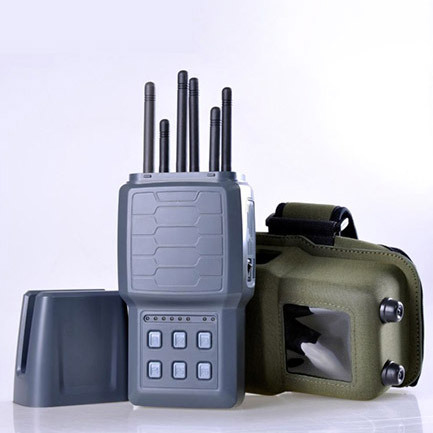 With the extended antenna, it has a larger interference range than other 8-way handheld jammers. 8 Bands 5.6W with Ni-Mh battery 8000Mah, Working 2.5 Hours Support use while battery charging. Inside cooling fans and Bigger heatsink design ensure the device to work continuously. The device is the only one that is currently equipped with an LCD screen. You can clearly observe the data by displaying the screen. You can get more accurate information. It has independent frequency band switch. You can turn on jamming frequencies bands as needed. Has 1 main switch, the No. 1 to No. 6 switches for antennas single control switches, can choose to interfere antennas function individually; the switch with memory function, if device restart, default before function design. 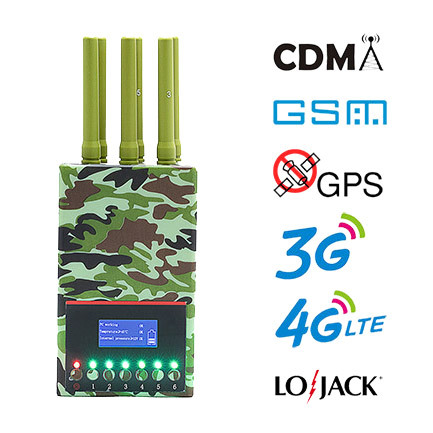 This is the most powerful handheld jammer available. 8W output power. The jamming range is up to 50 meters. Can jam 12 signal bands. With DIP switch, can turn on/off any signal band without affect other bands. 8.4 watt high output power and high gain antennas, Jamming range 2 to 50 meters (at-75dBm, depends on signal strength in given area) . With built-in bigger battery, can work more than (2.0+ hours) 120 minutes, can be repeated charging. This jamming device has a hidden design. You can hide the antenna and not easily noticeable. Has separate band control button. You can open or close a frequency band according to your needs. This jammer is easy to carry, and you can put it in a backpack or tie it to your arm as needed. This is a small multi-function jamming device. 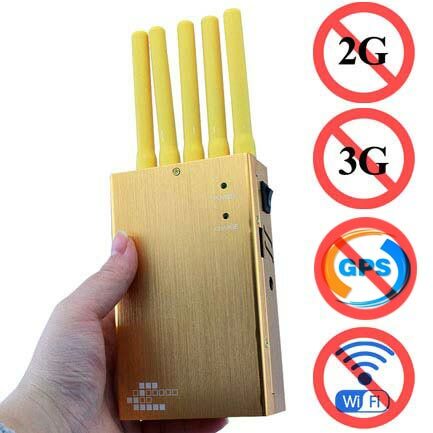 It can interfere with major mobile phone signals, such as 2G,3G,4G and other signals, as well as WIFI and GPS signals. Because it is very convenient to carry, it has become a must for most teachers and drivers. Has independent frequency band switch, you can turn on the corresponding frequency band for interference.